BRITISH-based Team Sky has announced that it is pulling all of its contracted riders out of the Commonwealth Games. 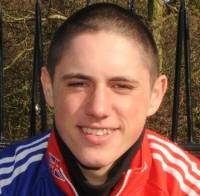 This means that just hours after winning the men’s scratch race at the National Track Championships in Manchester, Onchan’s Peter Kennaugh will not now be travelling to Delhi with the rest of the Manx squad, including his younger brother Tim. This is a major blow for the Isle of Man team as a whole as on-form Kennaugh was tipped as a likely medallist in the Men’s 20km Scratch Race in Delhi. He was also a pivotal member of the cycling team and the likely main lead-out man for his close friend Mark Cavendish in the 169km road race on October 10. Kennaugh was also the strongest and most experienced member of the Isle of Man’s team pursuit track squad alongside Mark Christian, Chris Whorrall and Tim Kennaugh. They were tipped for the bronze behind Australia and New Zealand. The knock-on effect could, ultimately, result in Cavendish also pulling out of the squad if other professional teams such as HTC-Columbia have similar worries about the state of facilities and conditions in India. Further updates on iomtoday.co.im as the story develops.